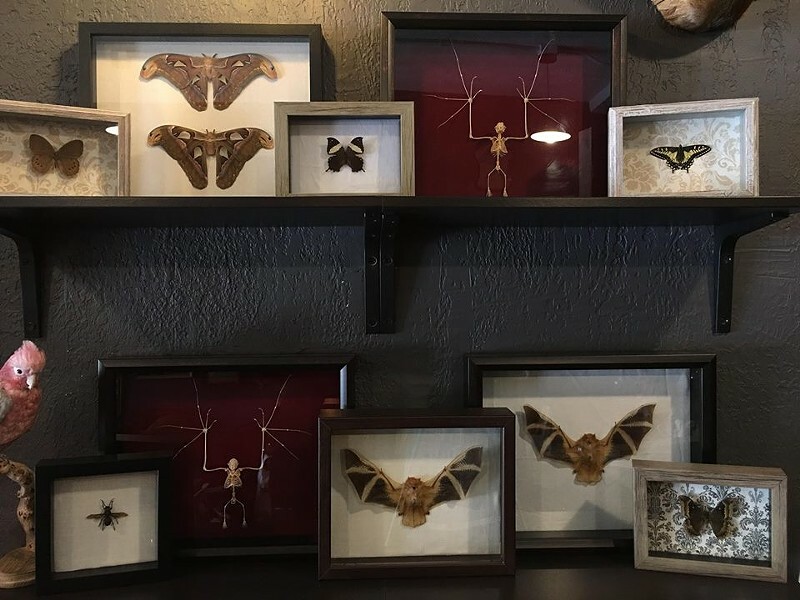 Clement Kunkle and Hallie Wallace are doing their part in "Keeping Cleveland Weird" with the introduction of their antiques and oddities shop, Cleveland Curiosities, set to open in August in Lakewood. 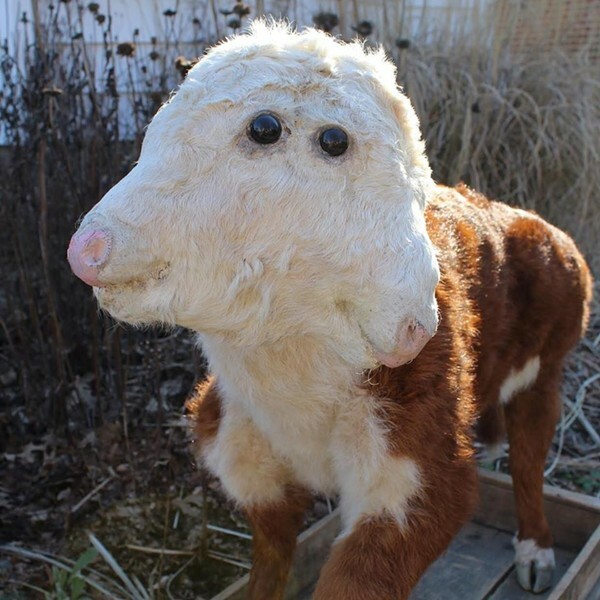 Kunkle has been dabbling in the world of oddities for nearly eight years, and his taxidermy and supplies have been used in both My Friend Dahmer and American Horror Story. After years of being one of the premiere sources for all things weird and unique the couple is finally opening up their own shop, providing world-class oddities for the Cleveland area to enjoy. 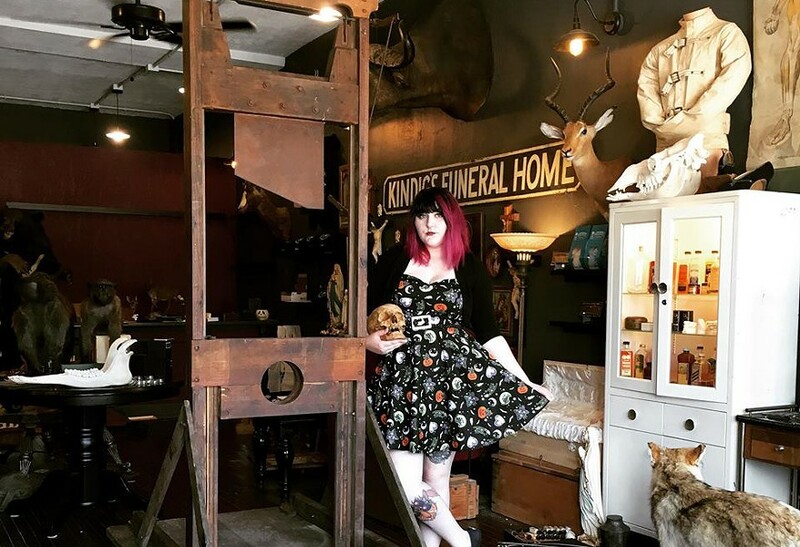 Stepping into the shop feels like walking into another dimension, one featuring walls adorned with taxidermy animal heads, skeletons, antique medical equipment, handmade dental phantoms and eye-catching artwork. The animal head's eyes seem to follow you no matter where you walk. "We work with a taxidermist in South Africa and import everything legally as well as people inside the United States that can supply us from different zoos across the country," says Kunkle. "All of the taxidermy is ethically sourced." Skulls (both human and animal), etymology boxes, antique books, post-mortem photography, vintage advertising sheets, ephemera (vintage paper), daguerreotype photography, vintage freak show/circus banners, antique religious iconography, victorian caskets, embalming bottles and antique medical supplies merely scratch the surface of the weird and wild items available for purchase. "We're a lot different from a lot of the usual 'dark' shops in town, and it's also really educational," says Wallace. "Our shop is modeled after what people think of when they're searching for oddities and curiosities," continues Kunkle. "For some people, this shop is going to be a destination." Over the years, Kunkle and Wallace have fostered positive relationships with many oddity vendors around the world and now can procure essentially anything a customer's heart desires. "If someone is looking for something really specific, we can more than likely get it for them, even human shrunken heads," says Kunkle. Cleveland Curiosities will also be home to modern weirdness like pins and patches from Meagan Meli and Ruca Zombie's Asylum, a Cleveland exclusive, in addition to nearly 100 designs from the internationally renown artist of Madame Talbot. In addition to the shop's items available for purchase, Kunkle and Wallace will also be offering custom classes available through ticket purchasing. 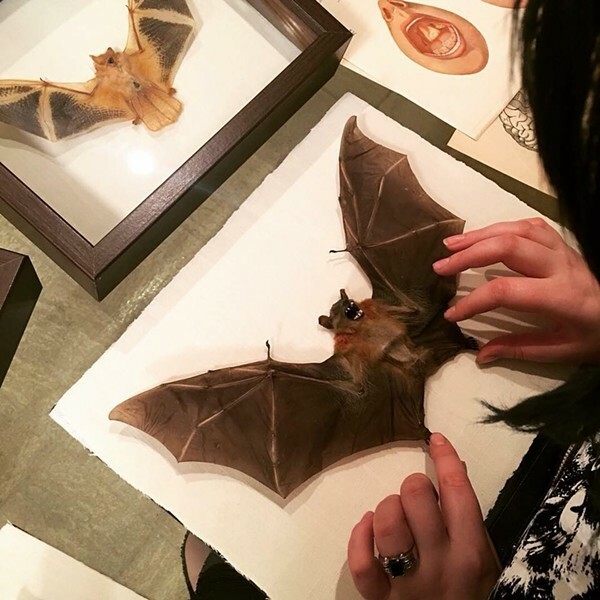 A two-day bat pinning class as well as a two-day etymology class where customers can properly pin and showcase their own bat/insect in a frame and take it home as a forever keepsake. Cleveland Curiosities is having a grand opening party with plenty of on Aug. 4 at their location, 13375 Madison Avenue in Lakewood.